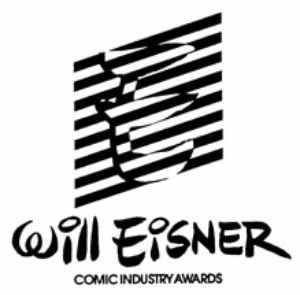 One of the things that I, and a number of others, noticed with this year's Eisner nominations are that many of them across nearly all the categories comes from webcomics. Works that were originally webcomics and then printed, or webcomikers who found success online and were then paid to write for print, or whatever. Perhaps not so coincidentally, a record 61 of the overall nominations were for 49 women. Last year, there were only 44 nominations. So why might there be some correlation between those two things? Would a greater number of women showing up in the nomination process be because there's a greater emphasis on webcomics? Or would a greater focus on women lead to more webcomics being selected? Or is there no real correlation there at all, and the simultaneous increases are happenstance? I think you'd be hard-pressed to find a reasonable person who didn't think there was a connection there. And since the Eisner judges are looking primarily at the individual works first (as opposed to the creators), I think it's pretty fair to say that the higher number of women comes from the fact that more webcomics works were looked at. Which suggests that more women work on webcomics (as a percentage of overall creators) than work in print comics. And that's something which is reasonably well-known already anyway. We know that the print comics industry doesn't have a very high percentage of women (or people of color) working in it. So it stands to reason that if you broaden the scope of what comics you're looking at to include a segment that has a higher percentage of women, then you're more likely to get a higher percentage of women in the final set of nominations. Which is precisely what we're seeing. Publishers are taking advantage of the creativity online to make great books because the traditional publishing system that exist does not really allow for diverse voices. Not only are they not encouraged, but the way the system is set up actively discourages them. Women are pushed out of larger publishing houses in both overt and covert ways. A lot of men keep up the "good ol' boys" club atmosphere specifically in order to make women uncomfortable and coerce them out, so they can continue their patriarchal system. You're not likely to find an employee willing to admit that in front of an HR representative, of course, but that's what happens in many cultures like that; I've seen it in ad agencies first-hand. My point is that we've long known that the print comics industry has been dominated by men. But what this year's Eisner nominee list shows us is that if we're being fair about comics more generally, then we'll see that the male dominated system is being replaced by a more egalitarian one that comes from online. And woe be to those who ignore changing their hiring practices accordingly!